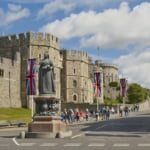 The United Kingdom gets a bad reputation for its food usually. 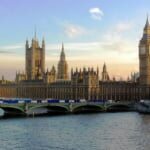 Most people visit the capital, London, trying the first pub they run into only to find the food isn't so great. It's easy to have one bad meal where the 'chef' is just microwaving ready-meals and label the whole country as a terrible place to eat. However to see the real face of British food, you really have to give it a chance. 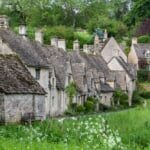 Here's our picks for dishes you just have to try when visiting Great Britain, so don't say British food is bad until you try these! 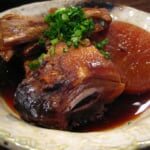 Although the name might not quite be appetite-inducing, worry not as there are no actual toads in this dish. British comfort food at its best, most people growing up, especially in the north of England will reminisce of this childhood favorite. 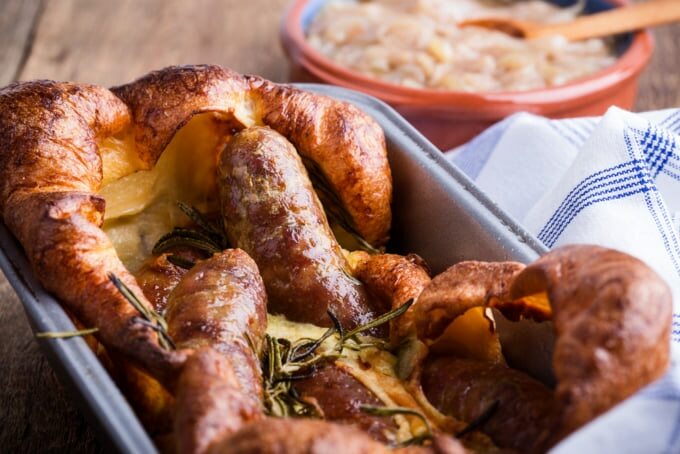 Toad-in-the-hole uses a base of Yorkshire pudding, another popular comfort food, with sausages thrown in and cooked in the middle. 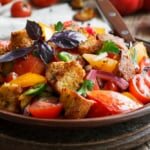 Often people will add onions and herbs to the mix too to ramp up the flavor. Drizzle some homemade onion gravy over the top and you have a delicious, comforting home-style dish. 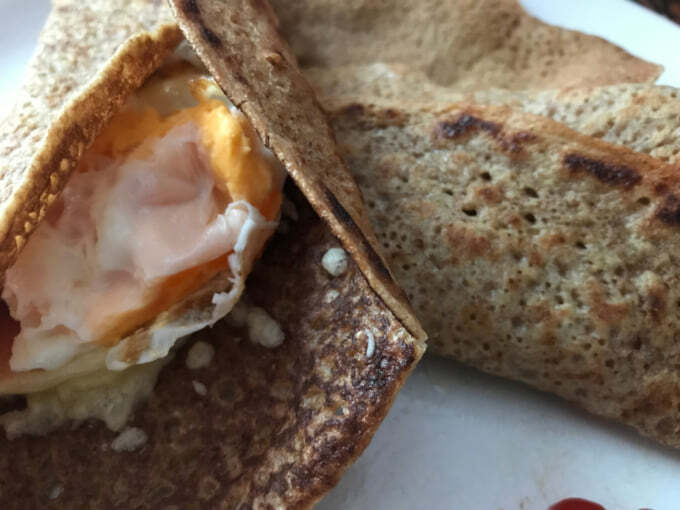 Not the bland biscuit type oatcakes, these are more like a thin oat pancake that's often used to wrap around other ingredients kind of like a tortilla. 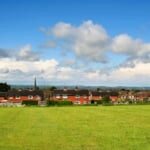 Popular around Staffordshire and Cheshire, where you'll often hear them just called oatcakes, they can be a little hard to find elsewhere but are well worth the hassle to find. Toast or fry them up and spread butter over them before adding your filling of choice, often ham and cheese, these are a food we feel should really be more popular than they are. After trying many an oatcake, our favorite filling would be cottage cheese and bacon, a match made in heaven. 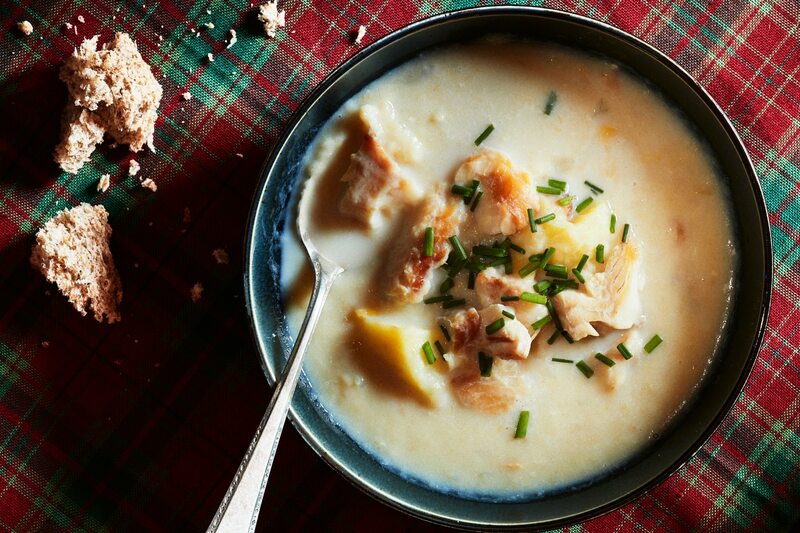 A must-try for anyone venturing up north to Scotland, Cullen skink is a thick Scottish soup made with smoked haddock. potatoes, onions and often cooked in milk until thickened. 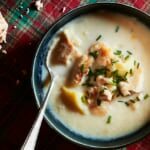 Similar to an American-style chowder, the smoked haddock flavor cuts through the creamy flavor perfectly and really takes chowder to the next level. Ask many a British islander what their favorite food from home is and most will answer with some kind of pastry encased treat. 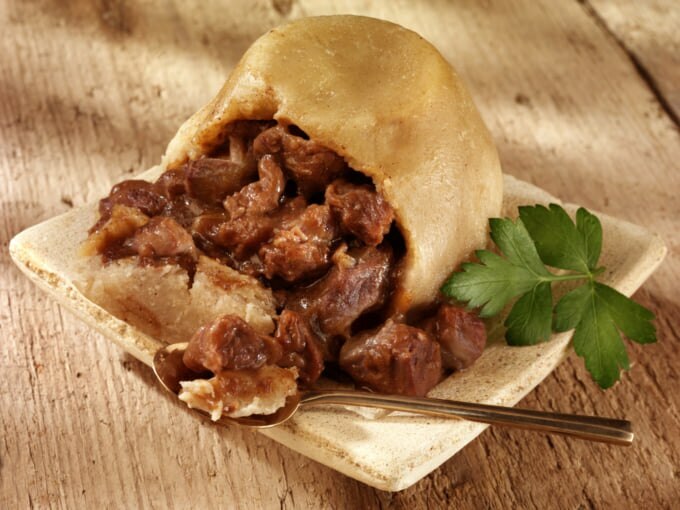 Steak and kidney pie is one of the most well-known and loved dishes in the nation, but for the ultimate comfort food you have to try a decent rendition of steak and kidney pudding. The pudding label is a bit of a miss-informer, there's no sweetness about this dish. It's pure umami with a rich meat and gravy filling enclosed with suet pastry, a unique, heavenly-tasting pastry that we feel blows the socks off shortcrust. 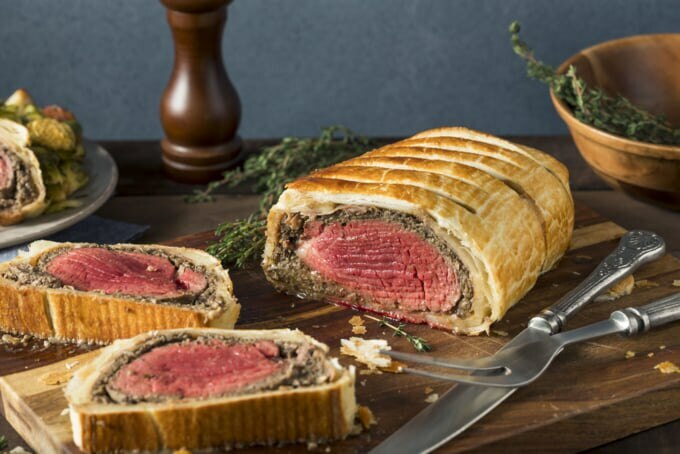 Another beef filled pastry dish we can't do without, beef wellington really takes fillet steak up a notch. The meat is usually coated with a meat pâté, wrapped in puff pastry and then baked until cooked through and crispy on the outside. 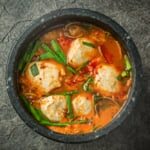 The dish is often difficult to cook perfectly, but some great renditions can be found in restaurants around the country. 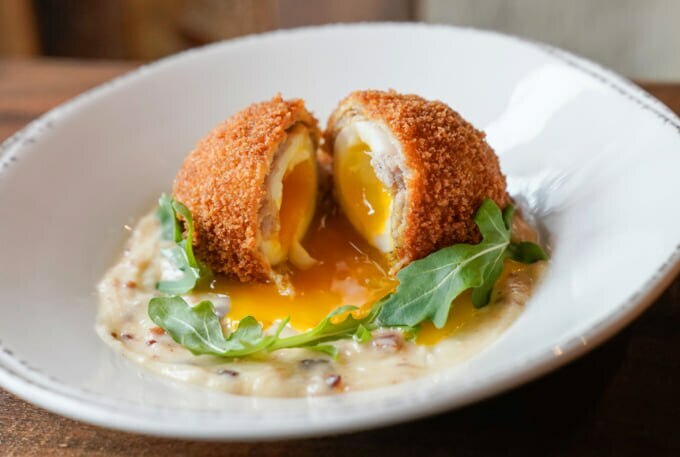 The perfect snack for on the go or to accompany a few drinks down at the pub, scotch eggs are best when using a soft-boiled egg which is wrapped in sausage meat, breadcrumbs and then baked or deep-fried. Avoid the ones sold in supermarkets and make sure to try them at a restaurant, cooked fresh and with well-made ingredients. These bad boys will have you craving more in no time. If it's one thing the British are known for it's their mouth-watering deserts at least, and Bakewell tarts are a great representation of this. 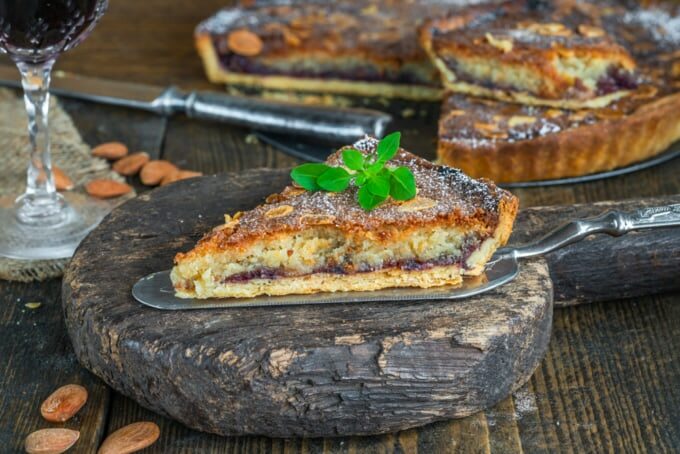 Assumed to have originated from the Derbyshire town of Bakewell, the tart uses a crumbly, shortcrust pastry between layers of jam and frangipane, a kind of sweet almond filling. It's perfect when given a dose of freshly-made custard or cream on top. 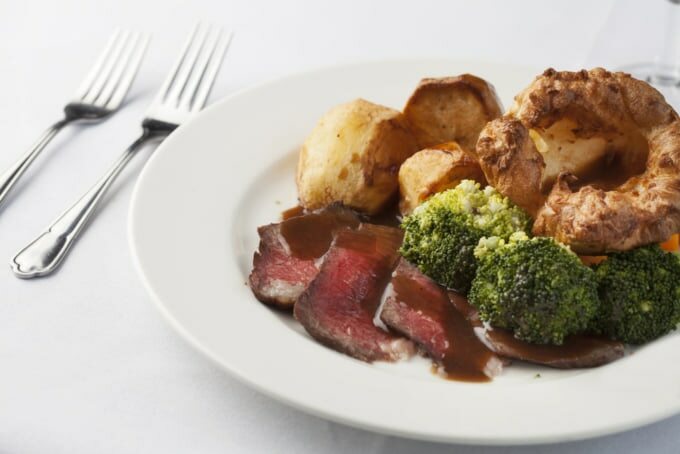 A classic home-cooked meal you can usually find offered at the pub during Sunday lunchtime, This traditional Sunday staple usually features a spread of roasted vegetables, Yorkshire puddings, potatoes and the star of the show, some kind of roasted meat, often beef. After plating up, the dish is usually given a coating of gravy, the further north you go you'll often see the more gravy added, until it's virtually swimming in it. Don't fret though, if it's homemade and done right, you'll want as much as you can of this rich, meaty sauce as possible. A cream tea usually consists of a British tea like earl grey served alongside scones, jam and our personal favorite, clotted cream. If you've never tried clotted cream before then you're in for a treat. The rich, concentrated cream is out of this world. Paired with a dollop of fruity jam and spread over freshly baked scones an you have the perfect afternoon treat. 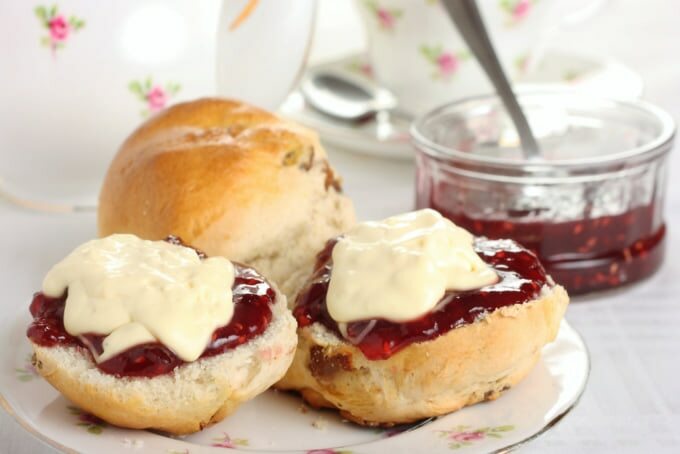 You'll find cream tea cafes all across the country, we'd highly recommend trying one out. 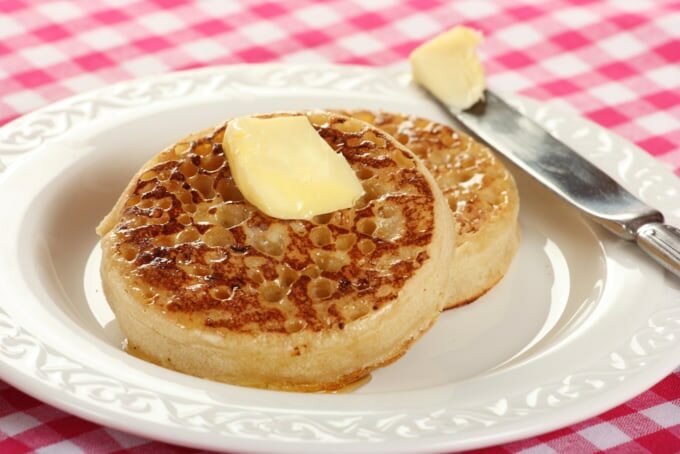 Simple but the ultimate snack or breakfast, crumpets are distinctive for the holes dotting the surface, perfect for soaking up a healthy hand of butter. Try and get your hands on some freshly baked ones rather than just from a supermarket, they're so much better. To take this snack to the next level, add a poached egg on top or use it as a base for eggs Benedict. 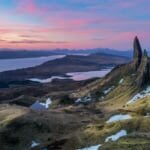 We know it's not the most appetizing of dishes, but most people change their minds quickly after actually trying this famous Scottish staple. 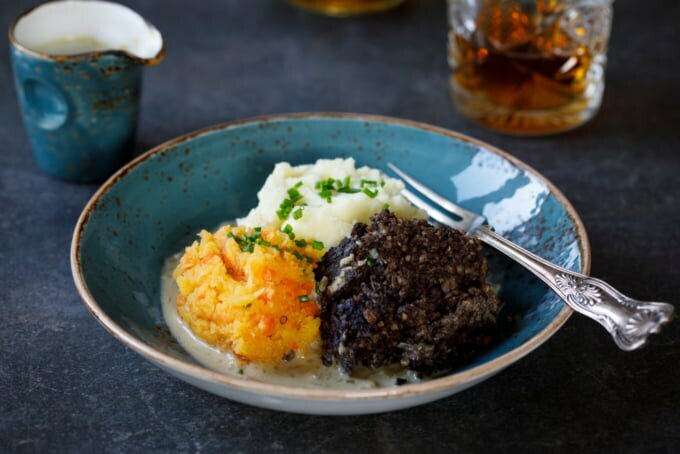 When made right haggis has a wonderfully nutty texture and delicious flavor. 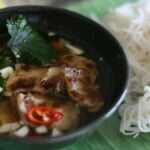 The offal is cut into small chunks and mixed with spices, stock, oatmeal and onions and cooked until tender, helping mask out the initial strong flavor offal can typically have. Once you get past what it actually is, the taste is phenomenal and usually not what people often expect. 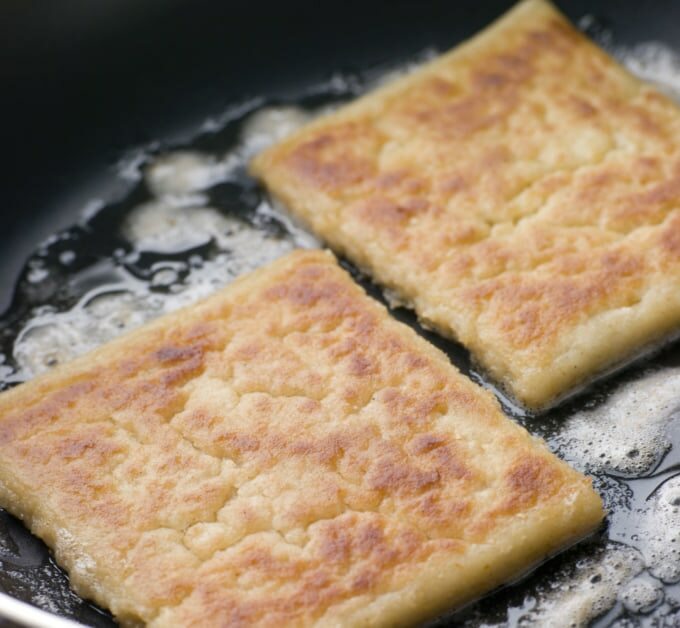 A staple of the traditional Ulster fry (Irish full breakfast), potato farls are a kind of flat bread made with a mix of mashed potato and flour, grilled in a hot pan and usually slathered with butter. 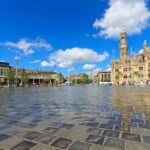 Found all over the UK, you'll also see potato cakes which are made in a similar way. 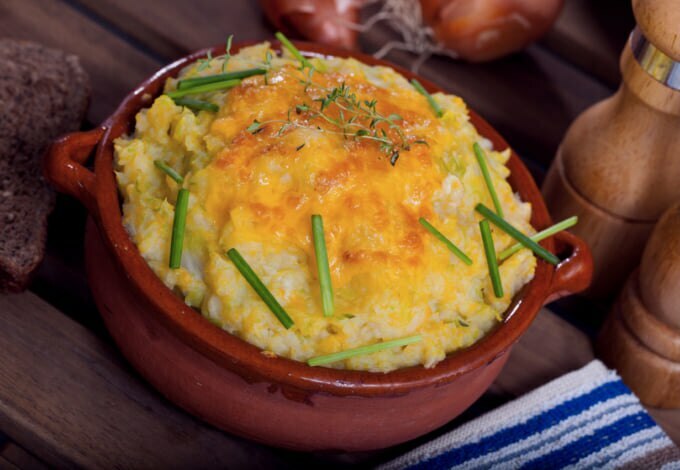 We tend to prefer the Irish versions more however, their love of potatoes probably giving them the upper hand for a better recipe with this culinary delight. Speaking of mashed potato, the Scots take this dish to the next level. Similar to the English bubble and squeak, the dish often features any leftovers from a roast dinner the day before. Onion and cabbage are usually sauteed in butter until soft and then mixed with mashed potatoes before being baked with cheese on the top. 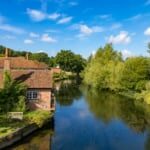 While these are some of the more traditional dishes you can't miss out on, the UK has fast become a gourmet paradise for foreign foods too, just make sure to do some prior research to find the top restaurants first. 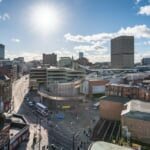 Be sure to try some of the British-Indian food you'll find all over the British Isles, cities like Birmingham and Manchester with its curry mile street have a huge scene for Indian food unrivaled in any city outside of South Asia. If you're visiting anywhere on the coast such as Brighton, be sure to head to a fish and chip shop. You've probably tried it before, but it's always so much better and more famous in the coastal towns which usually use the freshest fish.